When the first trailer for Concussion, a drama based on the true story of Bennet Omalu’s discovery of chronic traumatic encephalopathy (CTE) in deceased NFL centre Mike Webster, was released in August, I was immediately intrigued. 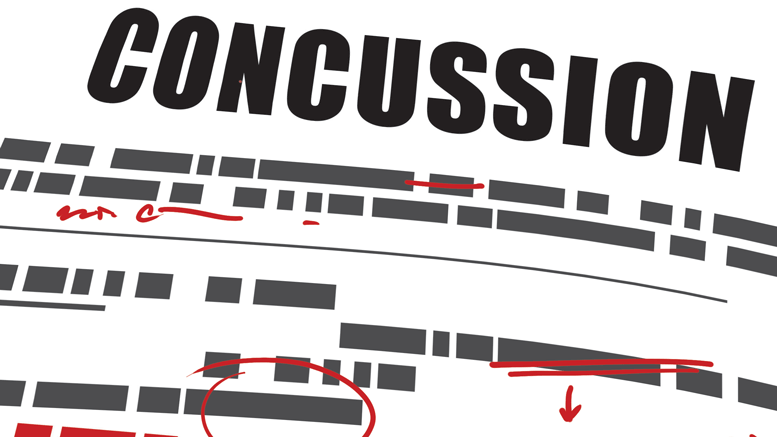 I played football from age seven to 18 and during that time suffered my fair share of concussions – the side effects of which I still suffer from today. CTE is long-term (chronic) trauma causing brain damage or malfunction (encephalopathy). This is common in high-impact sports such as football, where 131 out of 165 deceased former football players studied at the nation’s largest brain bank showed traces of CTE in their brain tissue. I saw Concussion a few days after its Christmas Day release and was thoroughly disappointed. While the vast majority of the movie ground my gears, I was particularly upset by the lack of scenes involving NFL commissioners Paul Tagliabue and Roger Goodell. In early September, the New York Times reported on emails obtained from the Sony email leak, showing Sony executives, writer and director Peter Landesman, and representatives of Will Smith (who played Omalu) discussing how to avoid antagonizing the NFL by making changes to the script. Other emails indicated that certain scenes that were unflattering to the NFL were removed or edited. This is a huge problem to me. The movie’s credibility was damaged when Landesman let the NFL get into his head. When he chose to write the script, he had an obligation to tell the full story and not leave out the accused parties due to fear of how they would respond. It’s unfair to those who have already passed away from the lingering effects of CTE and those who still suffer today not to shine a bright light on the issue. There still isn’t a clear depiction of Tagliabue’s reaction to the events that followed Omalu’s July 2005 article in Neurosurgery where he provides his findings of Webster’s brain. It’s Omalu’s word against the league’s when discussing the findings of CTE, and while I obviously believe the doctor in this case, perhaps seeing how Tagliabue and Goodell felt behind closed doors might’ve swayed the opinions of former or current NFL players and fans. Instead, Landesman opted not to ruffle any feathers with the multi-billion dollar industry, despite Sony Pictures having no immediate ties to them. Tagliabue might have been affected by the news surrounding CTE, as he resigned as commissioner just a year after Omalu’s first discovery – a few short months before a second case of CTE was found, this time in Terry Long. Another thing that makes me sick when thinking about this movie was how Landesman portrayed Dave Duerson, another former player who succumbed to CTE. He comes across cold-hearted, not only siding with the NFL but also telling former Philadelphia Eagles player Andre Waters that if he has a headache, he should just “go see a doctor.” This is the last scene we see Waters in before he kills himself and is later found to have CTE. There are two reasons why I believe Landesman chose to depict Duerson in such a way. The first is that following his retirement, Duerson actually worked for the league as a players trustee for the NFL player retirement plan. The second and more controversial reason may be because Duerson requested that his family donate his brain for research shortly before he committed suicide. The NFL was likely not happy about Duerson’s request because it brought CTE even further to the forefront, and so displaying Duerson as a villain may have been Landesman’s way of showing them that he wasn’t trying to stir up any further controversy. Things get even spicier from there though, as Duerson’s son Tregg flat out told the New York Times that Landesman and company “completely made stuff up.” Instead of Tagliabue or Goodell taking the heat, it’s Duerson who finds himself in the spotlight while the NFL’s top brass linger behind in the shadows. Here’s hoping that some time in the future, the whole truth is uncovered. Until then, I’ll continue to grumble under my breath and say a prayer for all of those who succumbed to a game they didn’t know was slowly killing them while the higher-ups looked on, with nothing but dollar signs in their eyes and a smile on their faces.